On Saturday February 18th at 5.30 in the morning a group of young men from Chania gathered at Chania airport to fly to Athens. 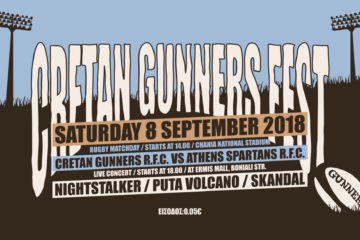 They were the members of The Cretan Gunners Rugby Club heading to play their first ever game of fifteen man rugby against Athens Spartans. With the game not due to be played until the afternoon there was plenty of time for the team to breakfast in Monostiraki under the watchful gaze of the Acropilis. Breakfast, coffee and plenty of chat and laughs and it was time to head towards the Spartans playing area. After a little confusion over the venue and meeting up with several players who had gone to Athens a day earlier all the players arrived ready for the match. Whilst advertised as a demonstration game this was really a training session for the Gunners giving them a chance to learn and put into practice what they had been doing in training since September. For a group of inexperienced players playing against those of Greece’s longest established club this was always going to be a hard afternoon. So after a comprehensive warm up under the eyes of English Coach Phil Elcock the match duly kicked off. Gunners impressed from the start they clearly had the skills needed and had the basic understanding of the organisation. 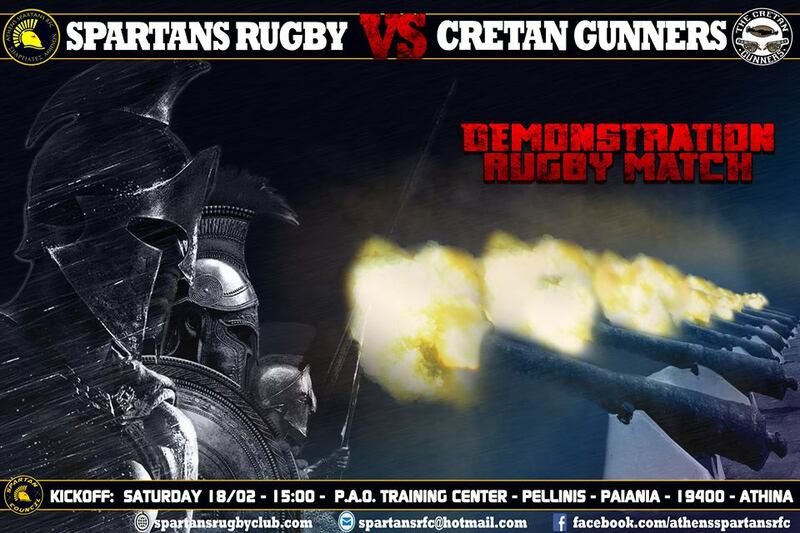 It took some fifteen minutes before Spartans opened the scoring this from a basic mistake as was the second try. As half time approached Gunners not used to the effort and intensity of playing conceded two further tries due to players being out of position. The second half started like the first with Gunners showing good skills and organisation this led to them putting a lot of pressure on the Spartans try line but despite great effort they failed to cross and score. Once again quicker ball handling, and better organisation saw Spartans score three further tries despite the tiring Gunners best efforts. Finally the whistle blew for the end of the match and Gunners left the field tired, satisfied but disappointed that they had failed to score. Spartans team members and officials, the Referee and the spectators all found it hard to believe that despite the score this was the first time that the Gunners had played. Indeed one of Spartans coaches was taken aback by the intensity that the Gunners played with from the start to the finish. It is in many ways unfair to pick out players for their performance but Gunners were led tirelessly by Spiros Terezakis and Kostas Manolikakis the only two players with previous playing experience. The third Dimitris Katsofrakis being a spectator following a wrist operation. Every other player deserves equal mention as they all gave their best on the day and now understand more of the demands of the game and the need for fitness, skills and strategy. 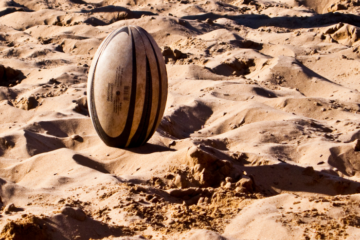 All essential components of the game of rugby and every training session. Coach Phil Elcock said that he was extremely proud of all those who took part and all the players now understood how the training sessions related to the full game. He also said that the standards and leadership of Spiros and Kostas was exemplary and that the new players could not have better leaders to follow. The return of Dimitris would add even more to the team. However one player was picked out for high praise Giannis Sfinorilakis being awarded the Gunners Man of the Match Hat. With the lessons learned fresh in their minds Gunners now prepare for their next match training session on the 18th March when they travel to Thessaloniki to play against The Thessaloniki Lions. 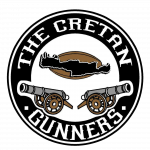 The Chania Cretan Gunners have now returned to training at the National Stadium in Chania on a Monday and Wednesday evening from 8.30 to 10.00. 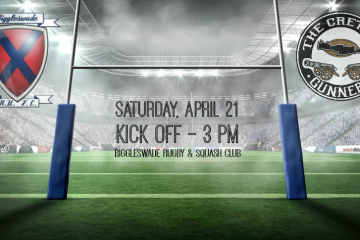 If you are interested in watching and learning about the game or having a go please feel free to turn up and watch or introduce yourself and join in.